Features - Kustoms blues? I need to see some kustoms.... | Page 440 | The H.A.M.B. Hamtown Al, Bowtie Coupe, drdave and 5 others like this. I want one, or two ! Here's the original Zeppelin. Art Himsl owns it and is the one that built it to it's current state. All the fab work was done at Jim Howe welding in Concord CA. Howdy Ledbetter did the interior, and of course Art Himsl painted it. Hamtown Al, brEad, Bowtie Coupe and 8 others like this. The first time I saw the Cool 50 was at Andy's picnic in Castro Valley at Crow Canyon park, maybe late 70's, and it was in primer. It was then painted Maroon. It's final and current paint is the candy red and silver. The interior is silver leather, or Naugahyde. Richard Zocchi had it built, showed it for awhile, sold it to show promoter Bill Larivee, Sr. in the ’80s. It's back in the Zocchi family again. Richard passed away a few years ago. straykatkustoms, Ranchero59, brEad and 11 others like this. Here's pictures of it in primer. I couldn't find any of it maroon. These pictures are of the car at Andy's picnic. Since it wasn't a pre 48 car it wasn't allowed inside. 40two, Bowtie Coupe, Sum54ford and 11 others like this. Ranchero59, Knghtcadi, brEad and 11 others like this. I'm thinking this was a Funeral/Flower car, they were kustom built for hauling the flowers to cemeteries, High buck funeral homes had them I was told. A Hot Rodder modified it to his taste/vision. Years back I had a business associate that had a 60 Cadillac Flower car, remember first time I saw it, WOW an El Camino Caddy, it was beautiful, black, restored to perfection, he searched for years to find one as he wanted something different, the only one I've ever seen in person. Like many of my friends/associates he has passed, no idea what happened to car. Bowtie Coupe, drdave, chryslerfan55 and 3 others like this. Mo, it appeared twice in the Street Rodder Merc Issue. I`ll look and see if I can find another pic of it from my collection of magazines. Ranchero59, wicarnut, Bowtie Coupe and 9 others like this. 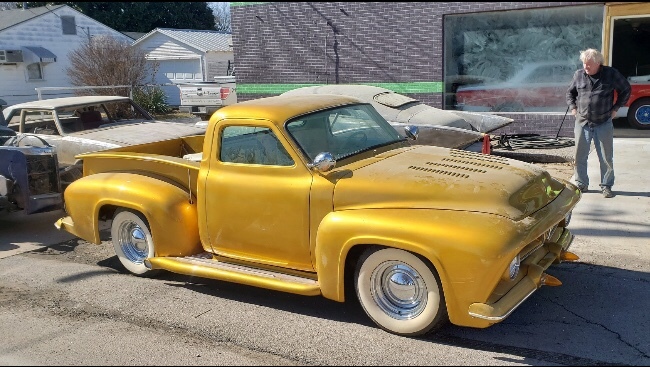 voodookustoms, Ranchero59, Hamtown Al and 15 others like this. Ranchero59, Hamtown Al, Pufff and 14 others like this. voodookustoms, Ranchero59, brEad and 13 others like this. He did three of them and they are all cool. voodookustoms, Ranchero59, 40two and 12 others like this. I now see that the car also lacked the defining hood scoops. While it was already a nice looking Merc, it clearly was not the standout that it is today! Thanks for posting. I'm sure others will find it interesting. 54delray, OG lil E, drdave and 2 others like this. Hamtown Al, 40two, wicarnut and 8 others like this. Bowtie Coupe, 54delray, OG lil E and 4 others like this. I`ve seen all but 3 of these cars. chryslerfan55, 54delray, OG lil E and 1 other person like this. atomickustom, Ranchero59, Knghtcadi and 17 others like this. Oh wow! I didn't know Geno's truck has made it to paint. 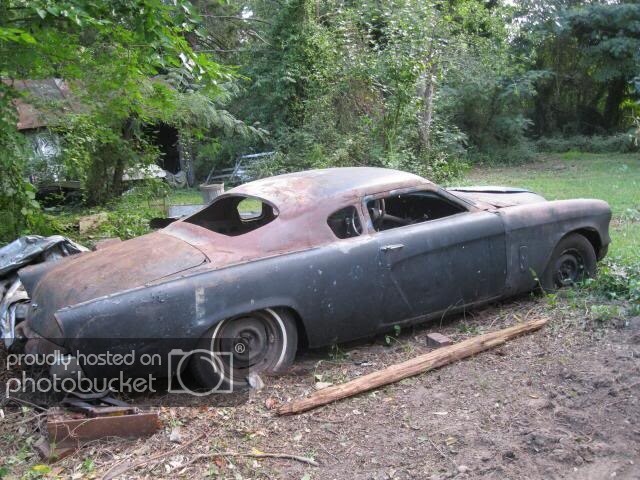 Last I saw it was when he had it in bare metal at the Stray Kat. Bowtie Coupe, chryslerfan55, 54delray and 5 others like this. 100% right, Austinrod. 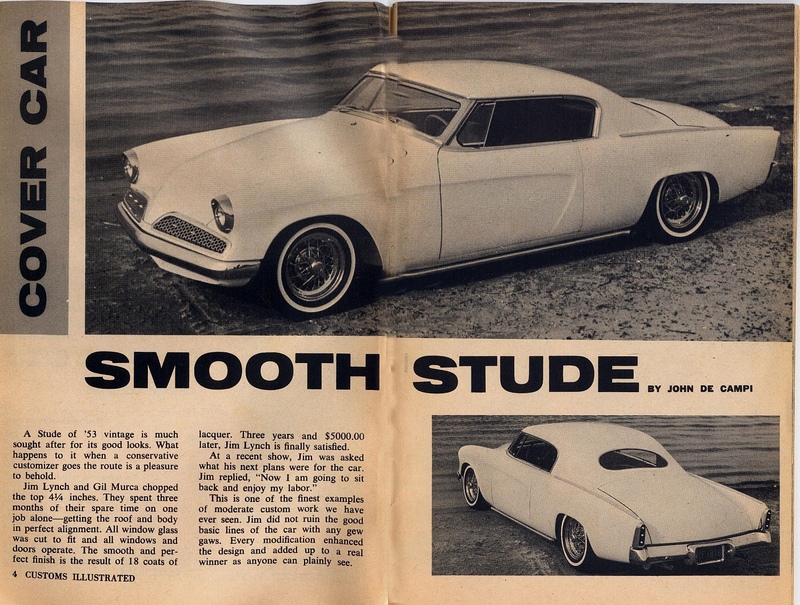 James Lynch's Stude has been a lifetime favorite., and did indeed heavily influence the car. Bowtie Coupe, chryslerfan55, Austinrod and 3 others like this. Do you know if Jim’s stude is still around ? 54delray and chryslerfan55 like this. The car is said to still exist, although I don't know in what condition. 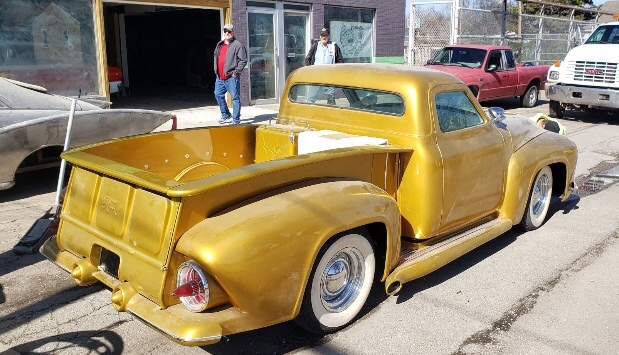 Austinrod, 54delray, Bowtie Coupe and 3 others like this. "John" left this comment on Rik's archive, 10 years ago! 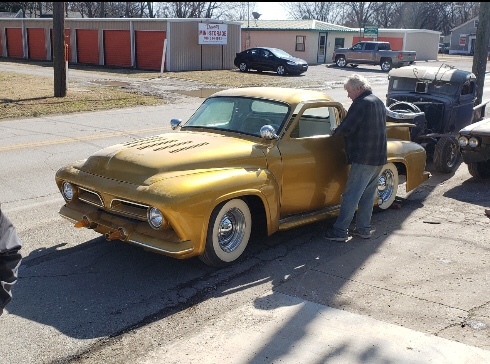 "This car still exists,in the midwest somewhere,I talked to the owner a few years ago.He wasn't interested in selling it,said going to leave it to his son." Hamtown Al, Austinrod, 54delray and 5 others like this. Ranchero59, junkjunky, brEad and 11 others like this. Ranchero59, biggeorge, brEad and 10 others like this. Ranchero59, Knghtcadi, Hamtown Al and 16 others like this. voodookustoms, waylow64bird, brEad and 10 others like this. voodookustoms, biggeorge, brEad and 9 others like this. James Patterson's HUGE Swiss-bodied 1937 Cadillac V-16. junkjunky, biggeorge, j hansen and 9 others like this. Kool picture. My kind of roadster, I'd chop the windshield a couple of inches throw on a top and drive the wheels off of it..
voodookustoms, Bowtie Coupe, chryslerfan55 and 1 other person like this. Chop it! Got to love it! LOL!